After completing my last piece on The Office, I didn’t feel like I wrote all that I wanted to about what is one of my favorite shows. Plus, I kind of felt like that last one got away from me at a few points. So I decided to write another post about the show. The Office is a show that ran for a long time and changed quite a bit while it was on the air. For a sitcom, it was also a show that told coherent stories with most of it seasons. So I’ve decided to rank each season from worst to best. 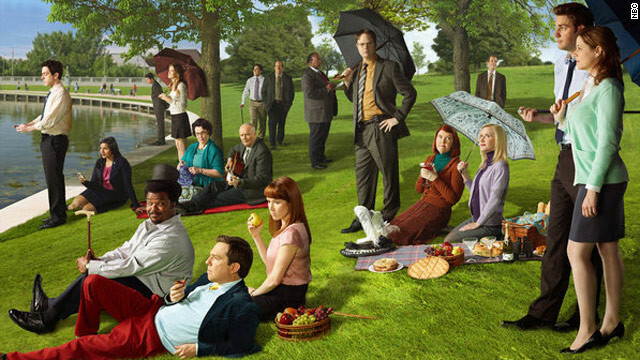 Season 8 – This is the first post-Michael season, and the show had no direction at all. They replaced with Michael with James Spader’s Robert California, a flatly terrible character. He started somewhat interesting, but the show spent more and more time with him and he never became less of an off-putting cipher. Around his unfortunate presence, the rest of the show felt like it was just going through the motions. Season 1 – This is like an ugly little vestigial growth on Season 2. Season 1 is only 6 episodes long, and the show has barely begun to step out of the original British versions shadow. By the end of this season the show has started to morph into the great show The Office would become. There really isn’t an outstanding episode here. Season 7 – Like seasons 5 and 6, 7 is another season with no cohesion. A lot of stories start, but they either fizzle into nothing or a rushed to their conclusions. The return of Holly is great, but her getting back together with Michael comes awfully fast. When Will Ferrell was brought on to be his replacement, everyone knew that it wasn’t a long term solution, but his arc is oddly paced, with him exiting just as fast as Michael. This season doesn’t even have good Jim/Pam stuff to back it up. Season 9 – At least the show went out on solid footing. There are missteps in the final season, like what the show did to Andy. Really, this season badly mishandles that character. It makes up for it, though, but tells one of the best stories featuring a happily married couple on TV. The tension between Jim and Pam in this season is perfectly believable and within their characters. That relationship had been perfunctory, if still sweet, for most of the last three seasons. Here, it is something worth watching, even if the viewer never really believes their marriage was in trouble. Knowing that it was the end let the show move most of its characters into a happier place for the ending. It is not the best season of the show by far, but it is a solid ending to the series. Season 6 – This is a season in search of an identity. There are so many abortive or rushed stories in this season. It is just a lot of brief ideas that come and go, with the season itself never really building an identity. Dunder-Mifflin goes from trouble to out of business in about 3 episodes. There is a subplot of Jim getting a promotion, but by the middle of the season things revert with no consequences at all. The only thing this does have going for it are the Jim/Pam episodes. The two part wedding and birth episodes are not really the best the show has to offer, but they are excellent personal episodes that cover ground this show usually avoids. There is scattered greatness in a mostly tepid season. Season 5 – This season has the show really starting to show its age. The Office becomes a little crazier, significantly less grounded. It has some really strong episodes, like the extended Michael Scott Paper Company Arc, but mostly it is just treading water. The building Andy/Angela/Dwight love triangle comes to a conclusion in the most ridiculous fashion; it also has Holly for the first few episodes and the final malevolent appearances of Jan. Lots of things happening, but they lack the care and cohesion of the first few seasons. Season 4 – This is the rise and fall of Ryan Howard. There is something missing with Jim and Pam being a happy couple for this season and the first few double sized episodes are badly paced, but once the season gets going it is pretty great. It has some of the darkest, most hilarious episodes in the series (The Deposition and The Dinner Party), but overall quality is not quite as high or steady as Seasons 2 or 3. Season 3 – This one is just a small step back from Season 2. It adds Andy and Karen to the show, both excellent additions. It also reverses the Jim/Pam dynamic, making Pam the one yearning from the side at the Jim’s relationship. Pam goes through a lot of growing in this season, changing from the mousey secretary from the first two seasons to the more forceful character she would be for the rest of the series. It also ends the long simmering downsizing plot in a satisfying manner. Season 2 – This one is on the short list of best TV seasons for any show. Each episode is essential to the overall plot. It largely redeems Michael, making him more pathetic than cruel. It also starts to develop the personalities of the supporting characters. You get to know a lot more about the likes of Kevin, Stanley and Creed. There are tons of classic episodes in this season, like Booze Cruise, Christmas Party and Office Olympics. The big draw is the Jim/Pam romance, most of which plays out in this season. It all comes to a head in the excellent Casino Night, when Jim finally makes his move. The only season that is out and out bad is Season 8; it is almost unwatchable. Otherwise, even Season 1 has some redeeming qualities. Watching this show over the last month, seeing the end for the first time and the beginning for something like the tenth, it really just helps cement for me just how great this show was. Even with its low points, The Office belongs in the upper echelons of the sitcom pantheon.